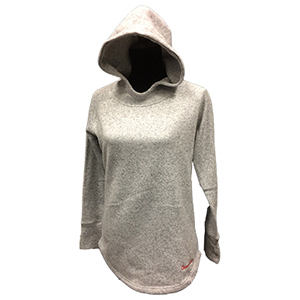 Women's fleece hood , made of 100% polyester by J. America. Features a thumb hole on cuff and Chemeketa embroidered near the hem. Super soft inside and out and a little longer length than a regular sweatshirt.